“Wake up, ” Vice-Chancellor of the University of Canberra Professor, Stephen Parker, told Australia’s academics in a passionate speech in Sydney recently where he railed against the Abbott Government’s higher education reforms. The professor was speaking at the National Alliance for Public Universities’ forum held in Sydney earlier this month at the University of Sydney. He was unequivocal with his views. “These reforms are unfair to students and poorly designed policy. If they go through, Australia is sleepwalking towards the privatisation of its universities,” he said. He challenged Universities Australia’s very vocal and some Vice Chancellors’ very quiet support for the proposed changes. This call was made whilst I was attending the Australian Association for Research in Education Annual conference in Brisbane. I returned from the conference trying to understand why we (academics) have largely been silent about the proposed reforms, when just about all of us are very concerned. I don’t believe it is because we endorse them, but more that we have lost our sense of collective agency to voice our concerns. Performance cultures have lead many of us to be wary of taking a stand about issues that matter. Academics face a ‘high degree of uncertainty and instability’ because they are ‘constantly judged in different ways, by different means, according to different criteria, through different agents and agencies’. Three-year probation, performance management and promotion applications seem to have contributed to a culture of ‘fear’. As a result, academics seem reluctant to contribute openly to public debate. The questions for me are: How do we collectively regain our voice? Why do we need to find our collective voice? I returned from the conference thinking about the idea of the activist teacher and how university leaders can empower academics to be activists, have a sense of agency and exercise professional judgements. For me, Professor Parker woke the activist in me, for which I am grateful. When I speak to my friends they say, “I thought that the universities supported this reform because Universities Australia has advertised its support”. However let me say very clearly Universities Australia is not representing my views or the views of many of my colleagues. For this reason we have to find ‘our’ voice. This alliance is promoting a collective voice for academics. So where are we now? Professor Parker claims that this might be half-time as the government regroups, advertises and lobbies. We have only a few weeks to find our voices. So I say, “wake up academia”! We might not get another chance. Please add your support to a a Charter for Australia’s Public Universities today. 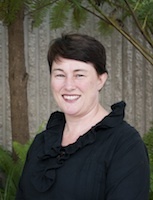 Anna Sullivan is a Senior Lecturer in Education at the University of South Australia. Anna currently teaches undergraduate and postgraduate students in the area of managing learning environments. Anna is a chief investigator on a few Australian Research Council Linkage grants. Her current research interests include critical policy studies, micropolitics, teachers’ work, student behaviour, classroom management and school discipline.